If you’ve been reading Bull Runnings for a while, you know that I’ve previewed all of the titles in Savas Beatie’s Emerging Civil War series. And you also know how these books work. Concise histories, lots of maps and illustrations, tough paperbacks, suitable for the field. The really interesting parts, to me anyway, are the appendices. So, for this newest publication, I’m going to give you the bare minimum, and flesh out those appendices for you. Doug Crenshaw is a volunteer at Richmond National Battlefield Park. He is the author of Fort Harrison and the Battle of Chaffin’s Bluff and The Battle of Glendale: Robert E. Lee’s Lost Opportunity. David A. Powell is a VMI graduate and author of numerous works and articles on the Chickamauga Campaign, most recently Barren Victory. 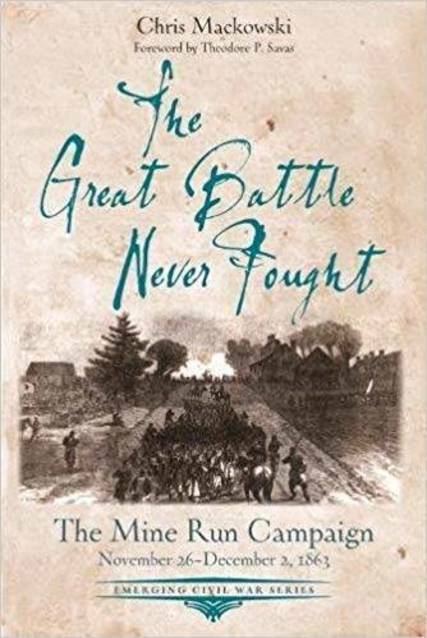 Stephen Davis is, among other things, former book review editor for Blue & Gray magazine and the author of a previous Emerging Civil War volume on the Atlanta Campaign, A Long and Bloody Task. 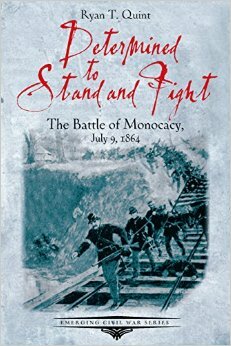 Determined to Stand and Fight: The Battle of Monocacy, July 9, 1864, Ryan T. Quint. Narrative 114 pages, 12 chapters. No footnotes, bibliography, or index in this volume. Footnotes are available online. Ryan Quint is a seasonal ranger at Fredericksburg & Spotsylvania National Military Park. If you’ve been reading Bull Runnings for a while, you know that I’ve previewed all of the titles in Savas Beatie’s Emerging Civil War series. And you also know how these books work. Concise histories, lots of maps and illustrations, tough paperbacks, suitable for the field. The really interesting parts, to me anyway, are the appendices. So, for each of these four most recent publications, I’m going to give you the bare minimum, and flesh out those appendices for you. Narrative page counts are for the main chapters only, not counting appendices. All run around 200 pages total. 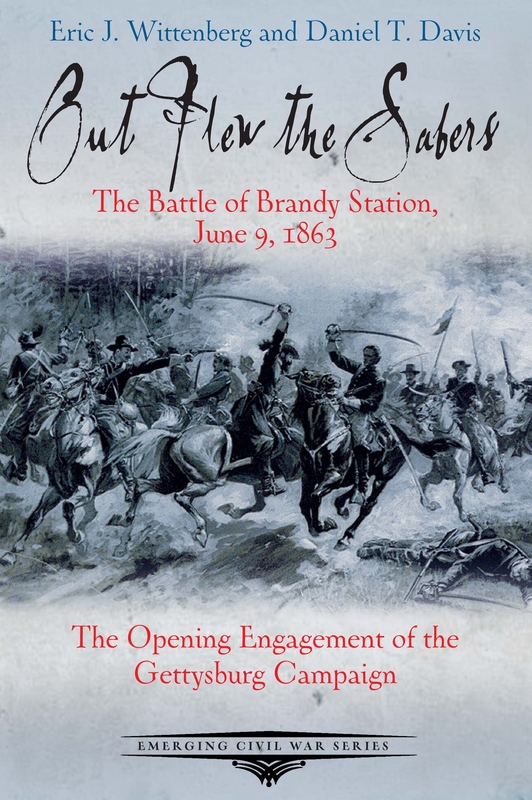 Out Flew the Sabres: The Battle of Brandy Station, June 9, 1863, by Eric J. Wittenberg and Daniel T. Davis. Appendix A: The Four Battles of Brandy Station (Wittenberg). Appendix B: The Winter Encampment (Mike Block). Appendix C: The Battle of Kelly’s Ford (Davis). Afterword on preservation efforts (O. James Lighthizer). 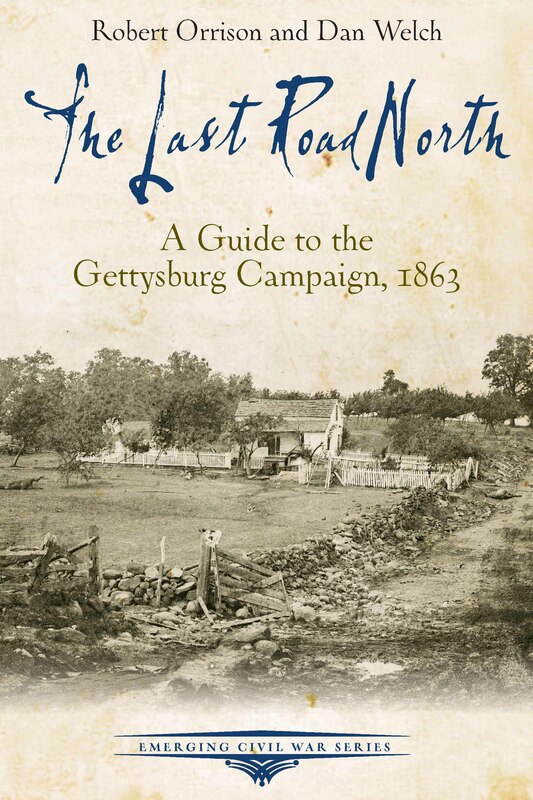 The Last Road North: A Guide to the Gettysburg Campaign, 1863, by Robert Orrison and Dan Welch. Narrative: 167 pages, with tours, from the start of the Confederate advance through the retreat. 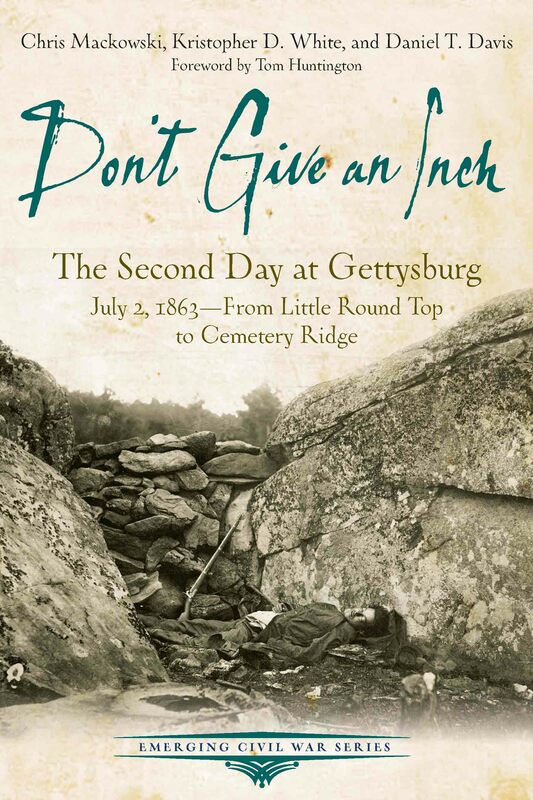 Don’t Give an Inch: The Second Day at Gettysburg, July 2, 1863 – From Little Round Top to Cemetery Ridge, by Chris Mackowski, Kristopher D. White, and Daniel T. Davis. Appendix A: The Wheatfield: A Walking Tour (White). Appendix B: The Heroes of Little Round Top? Controversy surrounding Joshua Lawrence Chamberlain and the 20th Maine (Ryan Quint). Appendix C: Home of the Rebel Sharpshooter. Photography at the site (James Brookes). Appendix D: Not a Leg to Stand On: Sickles vs. Meade in the Wake of Gettysburg (Mackowski). 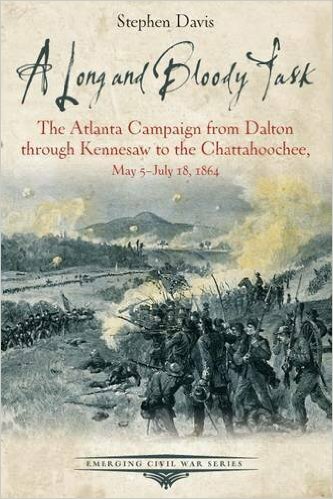 A Long and Bloody Task: The Atlanta Campaign from Dalton through Kennesaw Mountain to the Chatahoochie River, May 5 – July 18, 1864, by Stephen Davis. Appendix A: The Battle of Pickett’s Mill: Evolving Presence (Stephen Briggs). Appendix B: My Time with “Company Aytch:” Personal Memory and the Kennesaw Line (Robert W. Novak). Appendix C: The Chattahoochee River Line Today (Michael k. Shaffer). Appendix E: Why Do People Believe Joe Johnston Could Have Saved Atlanta? (Davis). Once more into the breach goes Savas Beatie’s Emerging Civil War series, this time with Chris Mackowski’s Hell Itself: The Battle of the Wilderness, May 5-7, 1864. You know the drill on these, so let’s get to the vitals. Fourteen chapters and an epilogue make up the main, 121 page narrative, with lots of illustrations and eleven Hal Jesperson maps. My favorite features of this series are the appendixes. In Hell Itself, there are six: Federal cavalry in the campaign; the Army of the Potomac’s high command; “Where’s Burnside” (hmmm…maybe wondering where his boss was and why he wasn’t communicating with him? ); Longstreet’s wounding; The Wilderness then and now; and the CCC in the Wilderness. You also get a driving tour, and Order of Battle, and a suggested reading list. All in a tough little package that travels well on the field.